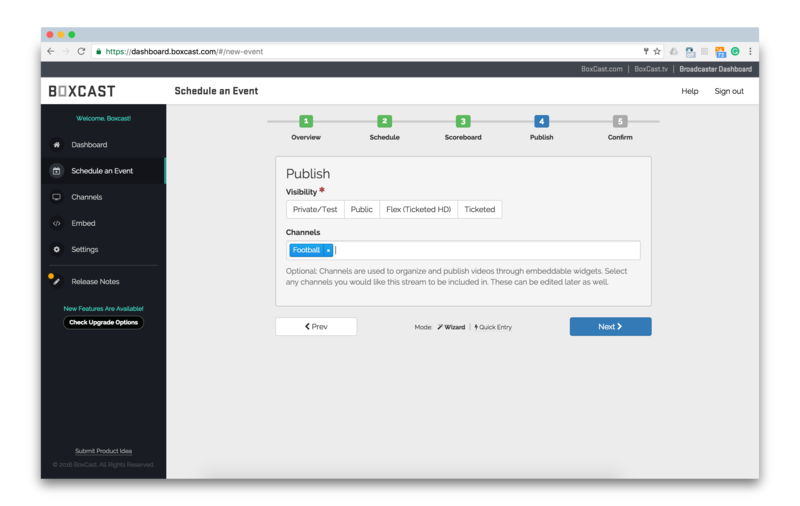 This post covers how to earn revenue from a live stream using the ticketing feature from BoxCast. It's part of our series on BoxCast Features. Live streaming can be a great way for your organization to earn additional revenue. There are a variety of options for monetizing your streams. At BoxCast, there are two main ways our organizations make money from their broadcasts. In this post, we're going to talk about the first method: ticketing viewers. 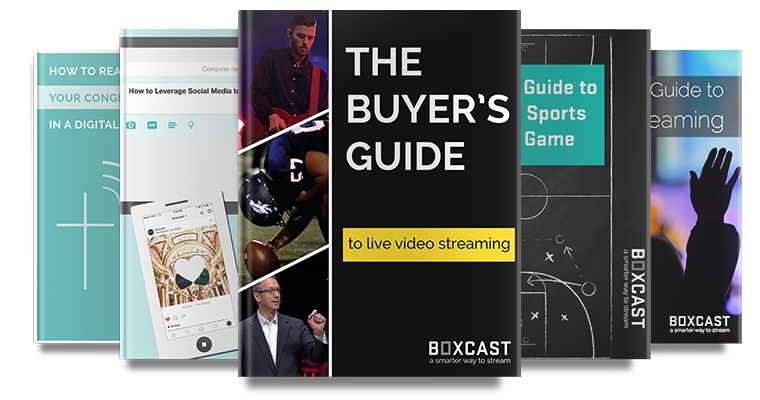 At BoxCast, we believe that your live streamed events should be as similar as possible to your in-person events. If you sell tickets to watch your in-person event, you should be able to sell tickets to the live streamed event as well. BoxCast makes it possible and easy. You can't monetize your video content on every streaming platform. On Facebook Live, unless you are a top tier publisher, it's not allowed. YouTube Live will run its own third party ads and give you a really tiny cut of the revenue (there's also reason to believe that Facebook is about to do this as well). Neither of those platforms, however, support direct ticketing. While YouTube will allow you to create a private stream that you can send out to select people, Facebook Live does not have any functionality to protect a stream from the general, non-ticketed public. BoxCast is different. We are built for your organization and brand. BoxCast empowers you to earn money for your organization with direct ticketing. It's possible to set up ticketing on your own, but it gets complicated quickly. You can setup a custom way to ticket events on a website, but payment processing, credit cards policies, and security can get messy fast. To make this process simpler, BoxCast provides a secure setup for direct ticketing and payment processing. All you have to do is set the price, and wait for your ticket revenue to come rolling in. Viewers pay for broadcasts with a credit card. 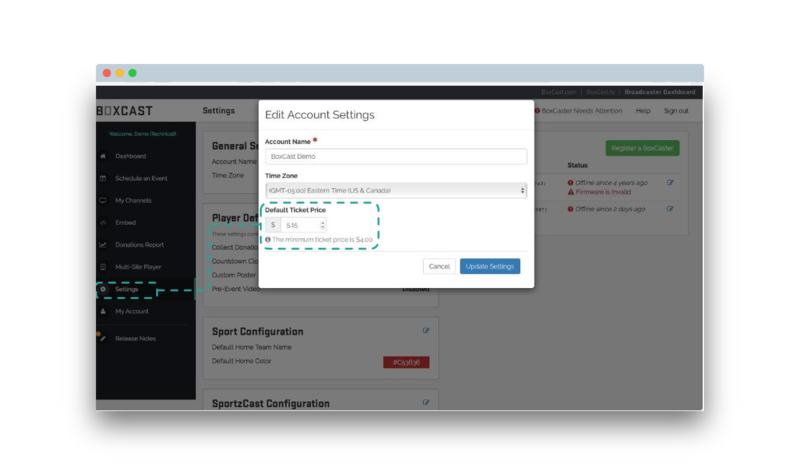 BoxCast processes the payment for your organization and the viewer is given a specific access code with access to the stream or set of streams. There are two different types of ticketing: pay-per-view and channel pass ticketing. Pay-per-view ticketing is the most common form of ticketing used by our customers. Pay-per-view ticketing allows you to set a ticket price for a single event or multiple events. For every event, the viewer will need to pay the ticket price of that event before tuning in to the full stream. Note: Viewers will have access to a 90-second preview of the stream before paying for a ticket to get a sense of what they are about to watch. For more details on pay-per-view ticketing, check out our support article on the topic. Alternatively, many of our clients like to let viewers pay for a channel of streams (think a season pass for a particular sport or an event pass for all the sessions at a single conference). With channel pass ticketing, the viewer will pay a price that you choose for access to an entire set of streams in a particular channel that you create. For more details on how to create channel pass ticketing, check out our support article on the topic. As we talked about previously, direct tickets aren't the only way to monetize your live stream. You can also use ads and sponsorships to make money with your live streams. Learn how to level up your live streams with our downloadable guide: Leveling Up: How to Advance Your Live Streaming Strategy.